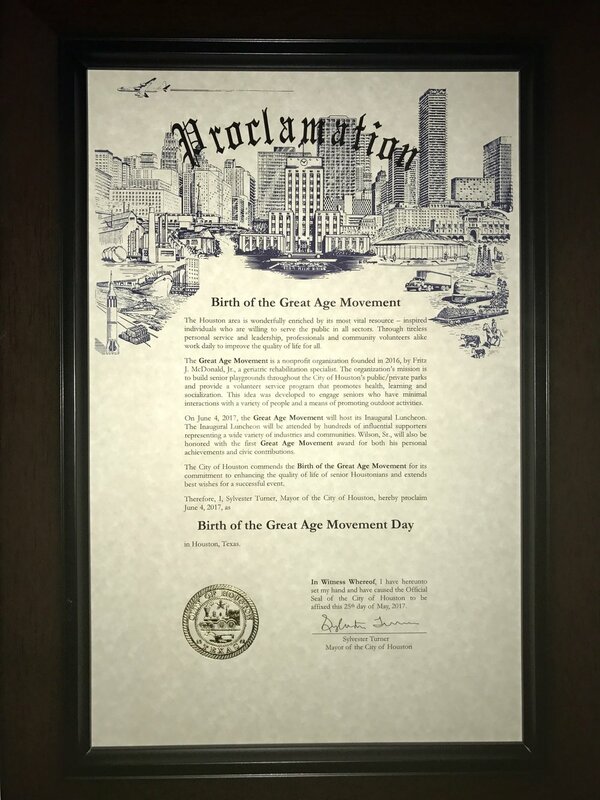 On February 22, 2019, Great Age Movement, in partnership with The Health Museum, launched an original pilot class called, “Senior Art & Exercise Program”. Seniors from Friends and Neighbors of 1960 and around the city participated in a 35 minute workout that included stretching, cardio, purposeful movements, and dancing through the museum while appreciating art. Ten trained volunteers and our program instructor lead the way to a successful launch! This is a video of a senior playground established in 2010 in Hyde Park, London. This park is designed with exercise equipment that emphasizes generalized muscle strengthening, cardio, balance, and coordination. The success of this playground has been measured through scientific research studies. The benefits include health, mental, and spiritual wellness. The power of positive transformation in the lives of seniors is an essential component of Great Age Movement. This senior playground and many others we've come across inspire our commitment, as an organization, to build them in our own communities.